Its baby boom time again! Spring has sprung and I feel like almost everyone I know is expecting, and everywhere I look are new babies or babies on their way. If you've been reading my blog for awhile you know how much I enjoy a rest from my major quilt projects to whip up a baby quilt or two. This one is a little bit bigger than most of the baby quilts I make coming in at about 45"x45" square, but I think its just the right size to grow with a small person. I've actually been playing around with tied quilts a lot recently. I remember distinctly this amazing tied quilt that my great grandmother made my Aunt Kim for her graduation or some special occasion. By the time I was around to see it the quilt was pretty well loved (worn) – the ties especially had felted into these lovely little tan pompoms. The playful texture of ties seemed just right for this quilt, and the future felting of the ties is exactly what I had in mind. The actual "finished" version of this quilt is many many washes away once the ties are completely felted, and I hope some other little guy remembers the ties of this quilt in their adult years. 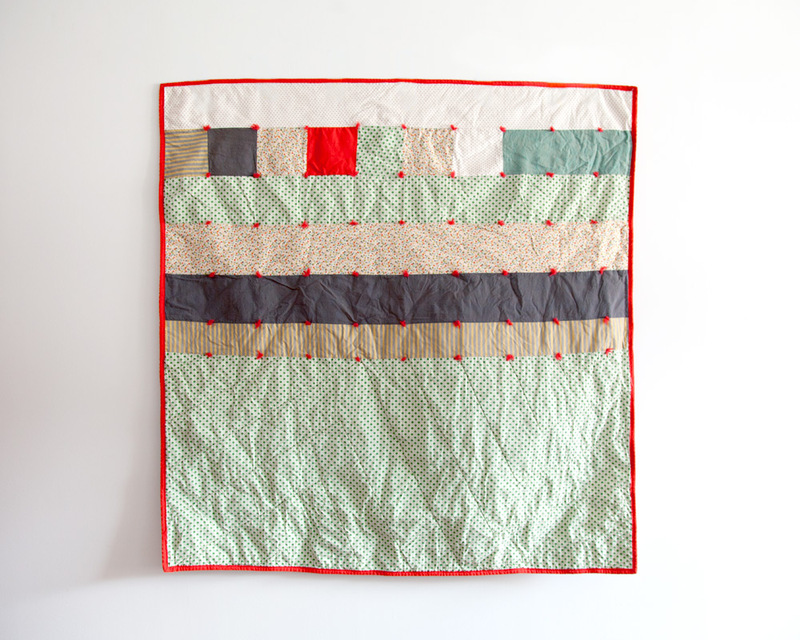 Have just the right new baby in mind for this quilt? Check it out in my shop.